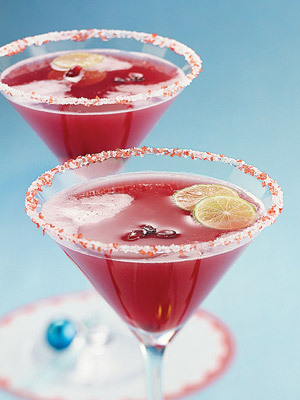 In a cocktail shaker, combine ice cubes, pomegranate juice, vodka, orange liqueur, and lime juice. Shake well to mix. Strain into 2 chilled martini cocktail glasses. Garnish with lime slices and/or pomegranate seeds.